You want to have a roof over your head that is going to last, be strong and ensure that it will hold for years to come. This is where the first point in hunting for a roof developer comes in: the quality of their roofs. Now, there are many types of roofs out there, all with different materials. Finding the one that matches your budget, house style and fashion is going to be difficult. So when you come to your final decision, you want to make sure that the developer has the roofs to match the quality you want. When it comes to creating, developing and manufacturing roofing materials, experience is key. 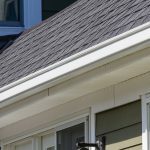 There is no question that when it comes to searching through roofing developers, you want to find the professional that has experience behind their belt. Why is this such a massive point? Because it highlights their knowledge of the job, their ability to stand in the industry and their commitment to providing clients with the best products possible. Look out for experience when it comes to finding the right roof developer for your home. Does a roofing contractor you know think highly of them? Or do they not rate them? How developers are reviewed by contractors is going to have an impact on your decision making, as they can give you a firm insight on what to expect! Is there something about the developer that makes them stand out? 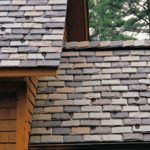 It could be that they offer additional services like, local roof repairs in Ashwood; or they are experts in one type of roofing design. Whatever it is, it is important to look out for that key point that makes them stand out from the rest of the competition.